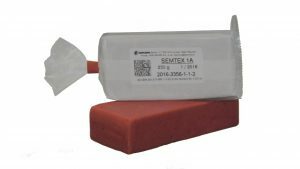 SEMTEX® 1A is a plastic explosive for special use on the basis of an inexplosive plasticizer with penthrite as an active component. The explosive contains a marking substance for pre-explosive detection. It is used primarily for destruction works, underwater blasting works (up to 100m), special blasting works and as an initiator. The explosive can be split and shaped under the conditions indicated in th einstruction manual for its use. SEMTEX® 1H is a plastic explosive for special use on the basis of an inexplosive plasticizer with penthrite and hexogene as active components. The explosive contains a marking substance for pre-explosive detection. It is used primarily for destruction works, underwater blasting works (up to 100m of water column) and special blasting works. The explosive can be split and shaped under the conditions indicated in the instruction manual for its use. SEMTEX® 10 is a plastic explosive for special use on the basis of an inexplosive plasticizer with penthrite as an active component. The explosive contains a marking substance for pre-explosive detection. It is used primarily for special destruction and blasting works, underwater blasting works (up to 100m of water column). 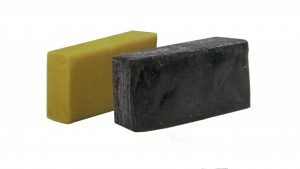 This black explosive can be shaped as well and has adhesive properties. The explosive can be split and shaped under the conditions indicated in the instruction manual for its use. Packaging: The SEMTEX® 1H and SEMTEX® 10 explosives are packaged in waxed paper. They are supplied in the form of bricks with a mass from 250 to 3,000 g according to the customers requirements. There are 24 or 25 kg of explosives in the transport packaging. SEMTEX® 10-SE is a plastic explosive for special use on the basis of an inexplosive plasticizer with penthrite as an active component. The explosive contains a marking substance for pre-explosive detection. It is used for the explosive hardening of metallic materials. 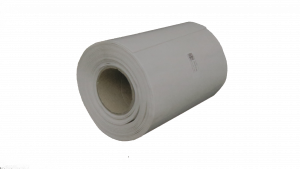 The explosive is white, can be well shaped and has good adhesion; it is supplied in a sheet charge form. The explosive can be split and shaped under the conditions indictaed in the instruction manual for its use. SEMTEX® S 30 is an explosive for special use with penthrite as an active component. It is used for explosive cladding and welding of metals. SEMTEX® S 30 is a white bulk material. 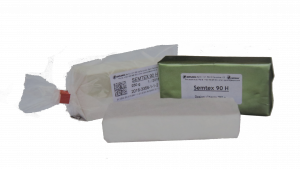 Packaging: SEMTEX® 10-SE is supplied in the form of a sheet charge 300 x 2 mm and a length corresponding to 10 kg, i.e. approximately 10 m. The explosive charge is covered with a PE foil on both sides and wound on coil. One box contains 2 rolls = 20 kg. SEMTEX® S 30 is packaged into 20 or 25 kg PE bags and a transport package. 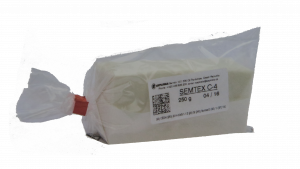 SEMTEX® C-4 and PW 4 are plastic explosives for special use on the basis of an inexplosive plasticizer with Hexogene (RDX) as an active component. The explosive contains a marking substance for pre-explosive detection. These explosives of the SEMTEX® type have the highest velocity of detonation. SEMTEX® 90 is a plastic explosive for special use on the basis of an inexplosive plasticizer with penthrite and hexogene as active components. The explosive contains a marking substance for pre-explosive detection. It is used primarily for destruction works, underwater blasting works (up to 100m of water column) and special blasting works. The explosive can be split and shaped under the conditions indicated in the instruction manual for its use. Shelf life is 10 years.